The girl in the video is singing a song to her cat. The cat seems not much interested. 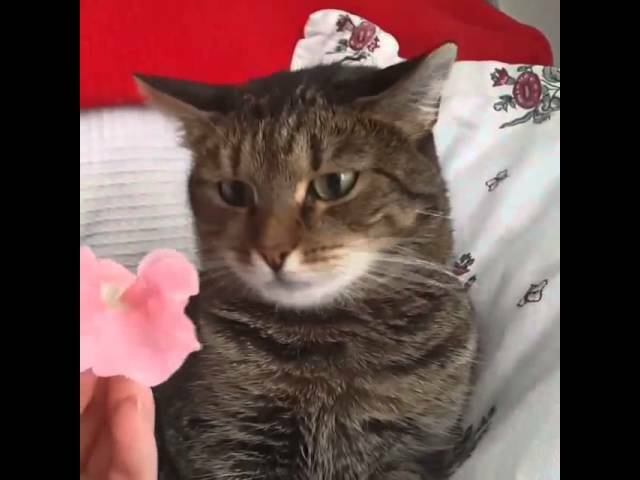 But when a flower is placed on her head… Best reaction ever!